I have been working on these photos longer than I would like to admit! And I am still not done. But I promise to have them all uploaded to Pinterest by the end of the weekend. 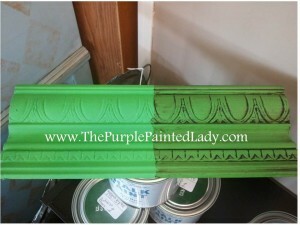 I hope that you enjoy these Chalk Paint™ Sample Boards showcasing both Clear & Dark Wax. They are a great way for you to see the possibilities of each color. And I have a lot of fun pairing up different colors to create new color combinations to paint future pieces in. Each sample board was painted with two coats of Chalk Paint™. Then a layer of clear wax was applied to the whole sample board. 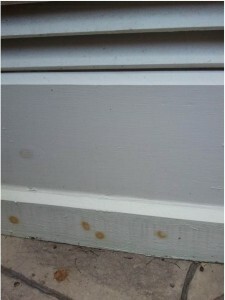 Once dry- we taped off half and applied dark wax, and immediately wiped off the excess. Click here to see Chalk Paint™ Sample Boards showcasing both Clear & Dark Wax or visit my on-line store to see each color. Chalk Paint® For My 125 Year Old Cupola! So, I have always wanted a cupola for the top of my “barn.” The “barn” is really more like just a very nice out building, in the sense it lacks the hugeness of what I would typically imagine for a barn. The “barn” was my studio for a long time before I moved to my storefront in the village. It was a great place to paint. This photo was taken – geez, back in 2009. I was taking some fun fall photos of my cute daughter Danni here. This was when I was only painting murals and before I really started to focus on furniture. 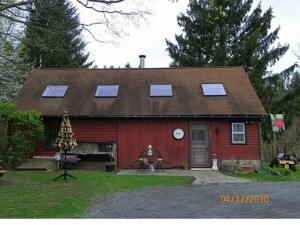 Can you see the skylights across the front? Boy, they let in great natural light. And the barn has two 6′ wide windows that are side by side on the end of the barn. Talk about light, I love painting in there! The “barn” now primarily holds a lot of great “junk.” Well, that is what some people refer to it as. But to me…all that “stuff” – is my inventory. Something to keep in mind when debating on venturing into the furniture painting business versus selling jewelry, is that furniture takes up a lot of space! Make sure you have room to store all of your stuff! Anyway, trying to get back on subject here! My barn needed a cupola for some time and the new ones cost a small fortune and seemed to small. So, I started searching on Craigslist. Every day for almost a year, I would type in “cupola.” And I would always receive back, “Nothing found for that search.” Except, one day…it happened!!!!!! A post appeared from a location 2 hours away from me. 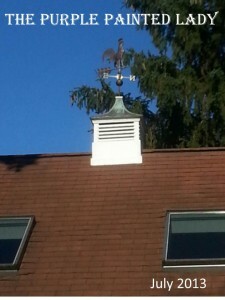 A Copper Roof Antique Cupola For Sale!!! And it was authentic! 125 years old, authentic! Well, I had to have it! So, off I drove! 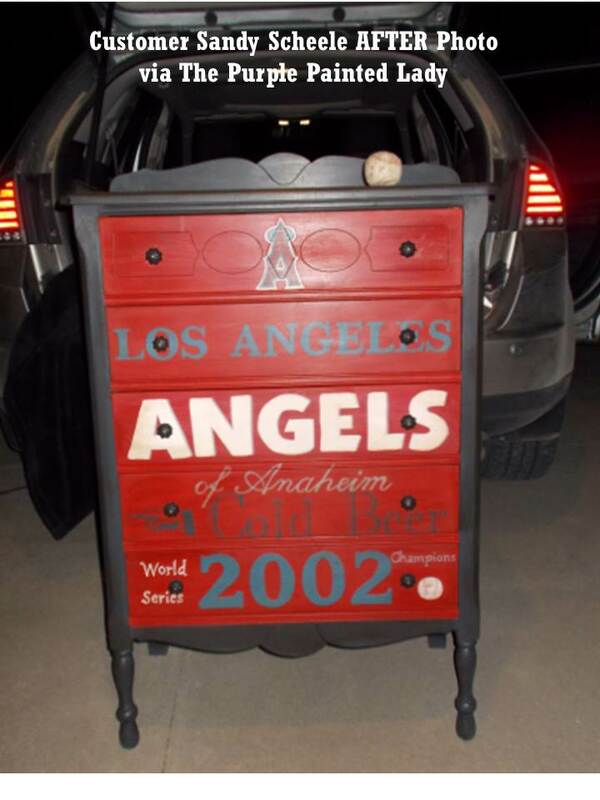 When John dropped this off – like a month ago for me to paint (and I am just finally getting to it now…..I have been a little busy) he had it all primed. 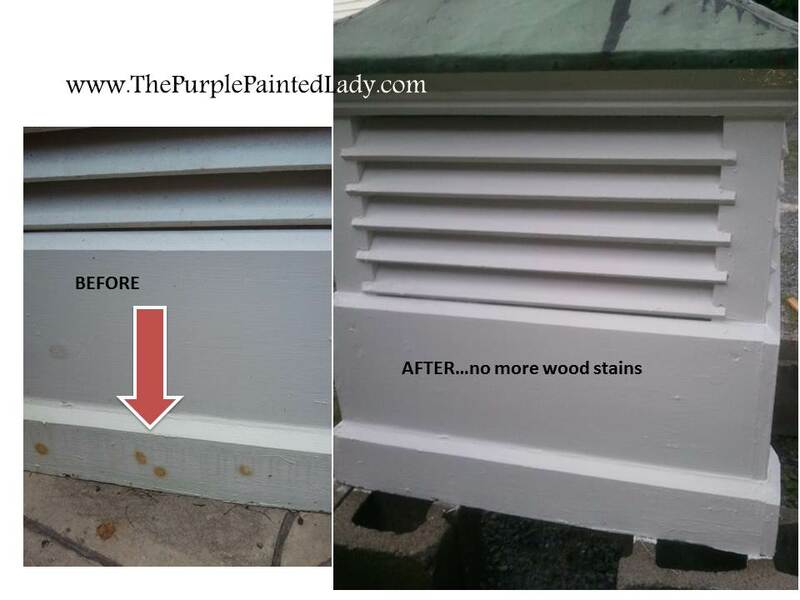 He did not know that I planned on using Chalk Paint™ Decorative Paint by Annie Sloan, which requires no stripping, sanding or priming! Oh well, that was ok. 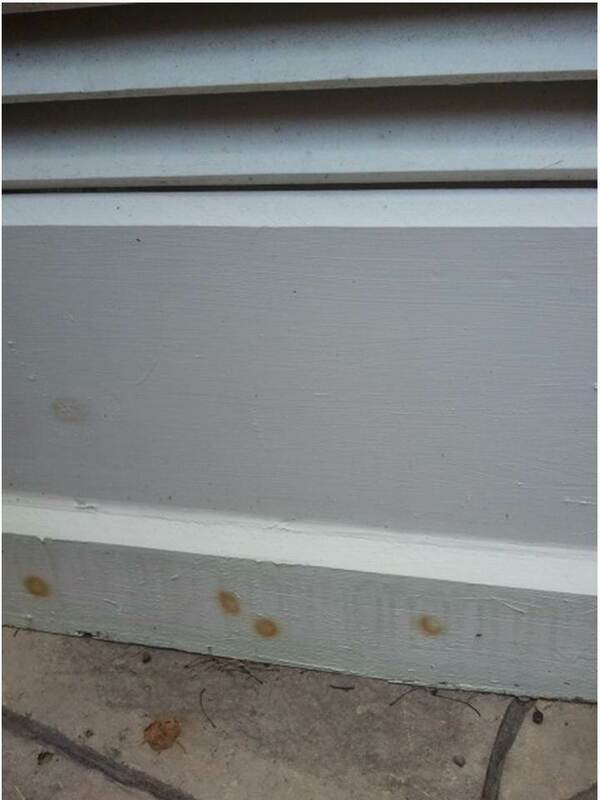 Even though John primed the cupola with a quality – stain covering primer….the knots in the wood still bled through. 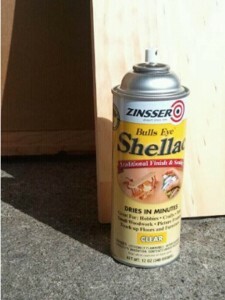 So, I used my Zinsser Shellac (and you know I love that stuff by how much I promote it.) You can purchase it at any big box store and it comes in a spray and a quart. I like the spray since it is easy and quick. Literally dries in about 5 minutes (or less!) So, all I did was spray it on the base in a uniform thorough coat. 2 times in fact! Since I am using Pure White Chalk Paint™, the 2 coats of Zinsser will prevent those wood tannins from bleeding through again. And based on how high this baby is going to be, I do not want to have to do any touchups later once it is mounted! Then, I shook my quart of Pure White Chalk Paint™, opened it up and began painting. 2 coats of Pure White Chalk Paint™ and this beauty is all set for another 125 years! Remember, since I am using the Chalk Paint™ outdoors, I do NOT use the wax. 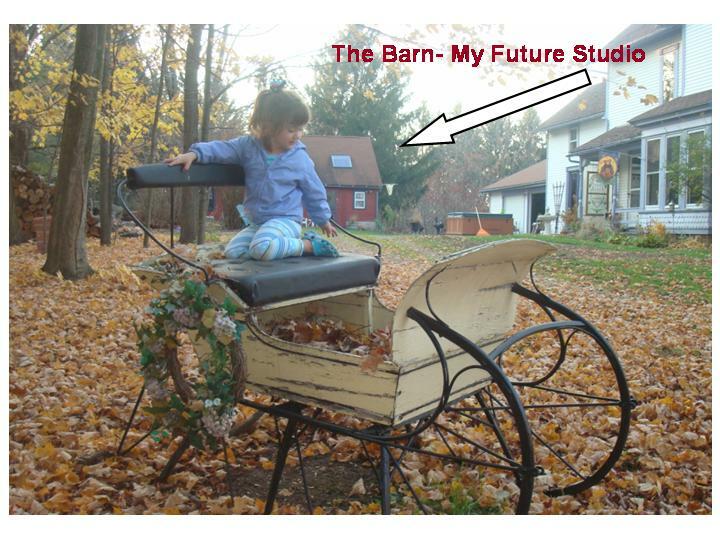 Now, when I write that I have a barn, that is because I live in the country! Yep, the country as in the place where you can randomly hear gun shots going off from people target shooting. Or, as you drive down the road, you get stuck behind a tractor. 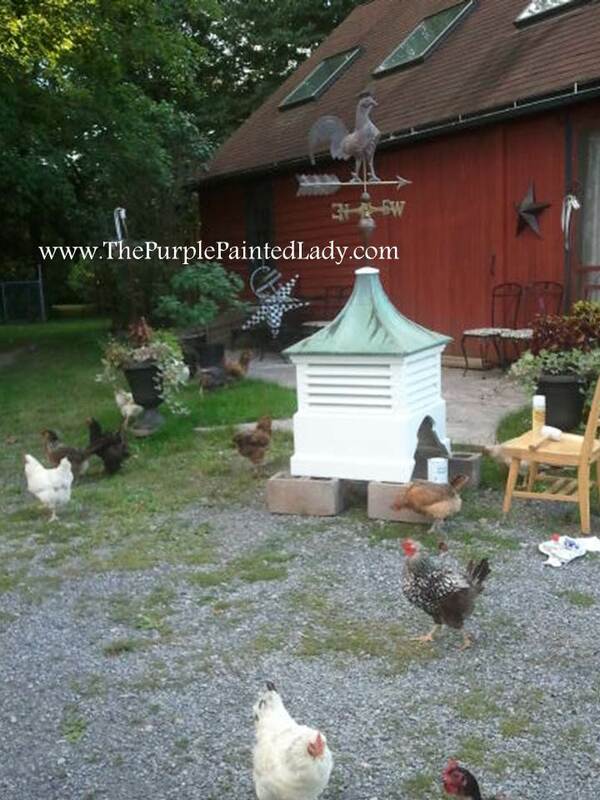 Seriously, and to show you just how “country” we are…here are some of my hens being curious to what is going on. 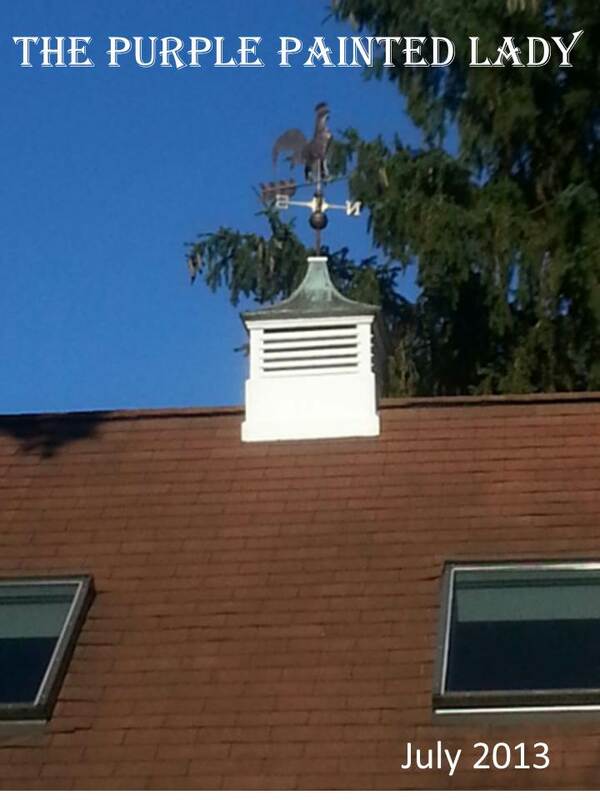 After painting the cupola- I think it looks great! The wood tannins are sealed and have not bled through! 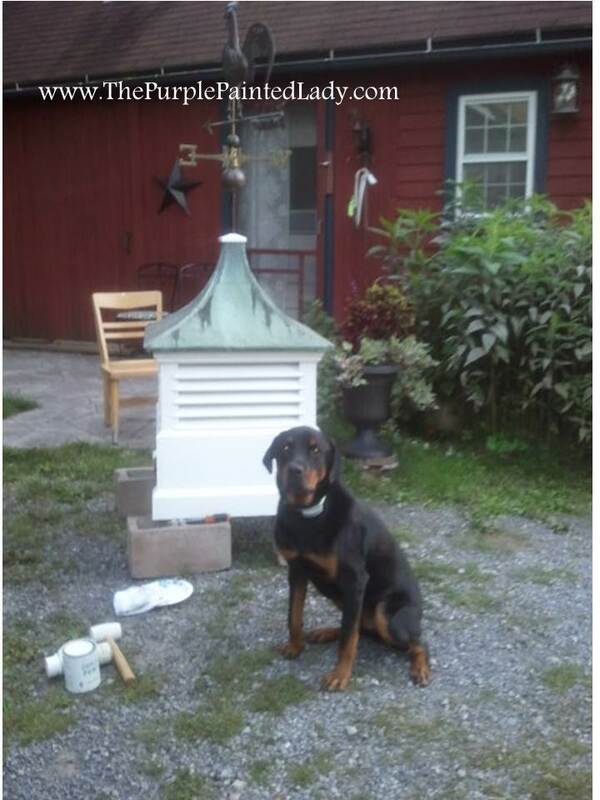 One of my Rotties kept me company during this little project, and well, I think he is handsome and made him sit for this photo. Sorry I did not paint it some crazy color that would have showed off a contract from the “before” state, but I love it and am so excited to see it mounted now. 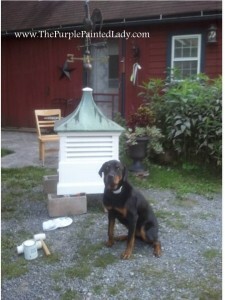 I will update this post as soon as John returns to carry this 150 pound beast up to the roof of my barn! 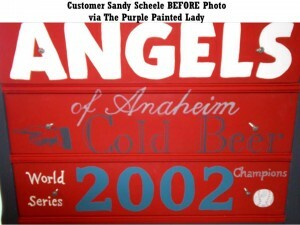 Thanks for reading my post and a very special thank you to our dear friend John!!!! Without him (and his crew of men) we would not have been able to afford the total tear off and replacement of our roof last year. He is a very kind, compassionate man…who we are very lucky to call our friend! 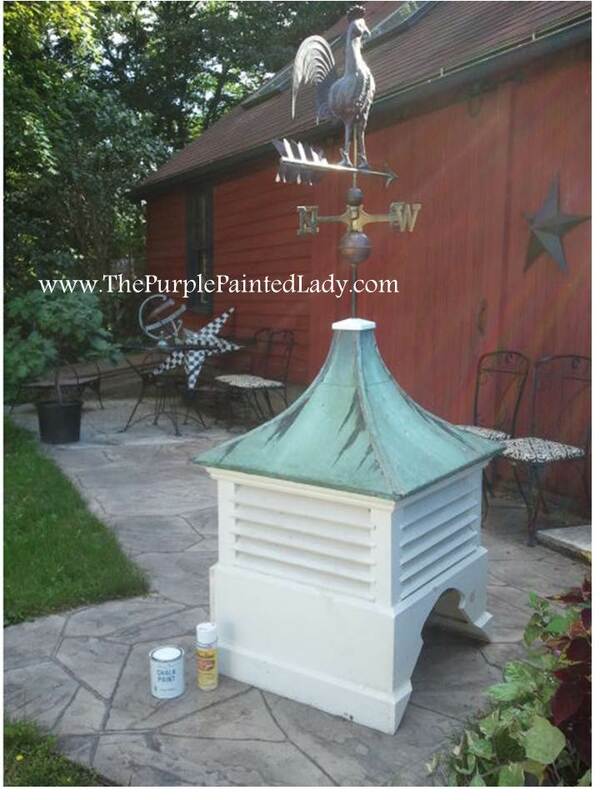 Just wanted to post an update now that it has been almost a year that my barn’s cupola was painted with Chalk Paint® decorative paint by Annie Sloan. It looks just as perfect as the day I painted it. The cupola is exposed to all of the elements- snow, rain, freezing ice, beating sun, and wind! 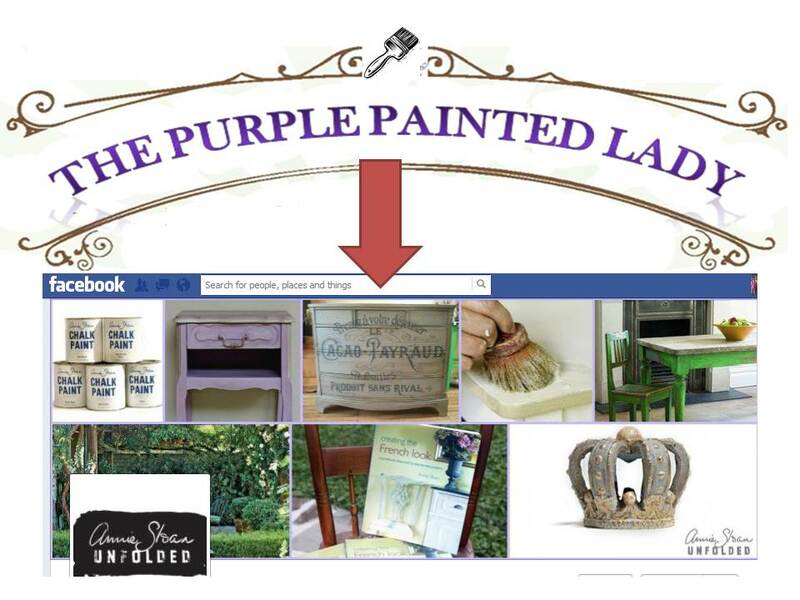 Hope this helps in understanding the potential of Chalk Paint®! 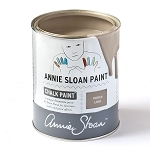 Annie Sloan Unfolded is the North American Organization that distributes Chalk Paint™. The crew there- led by Lisa & Scott Rickert do an amazing job with supporting and supplying all Chalk Paint™ stockist (retailers) in the United States and Canada. 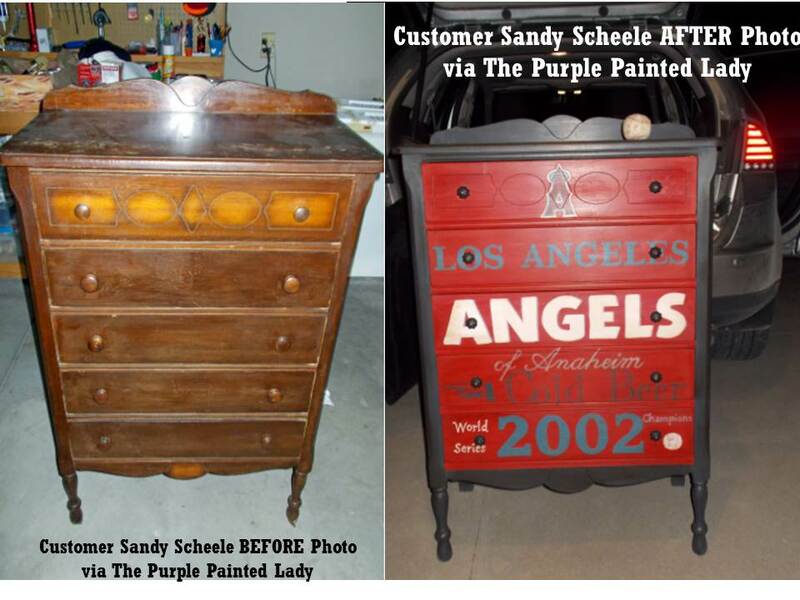 The Purple Painted Lady is honored that Annie Sloan Unfolded selected a painted piece completed by Tricia to use in their Facebook Profile photo! Thank you so much! I think it may be a little obvious my passion for Chalk Paint™!!!! How To Apply Clear Wax- I receive many questions on a daily basis from people around the USA about the proper process to apply Clear Wax. I primarily use Annie’s Clear Wax over Chalk Paint® Decorative Paint by Annie Sloan, but also enjoy Miss Mustard Seed’s Milk Paint and waxes, for the most part, the application of wax is fairly the same. So, this information applies to all of the above. 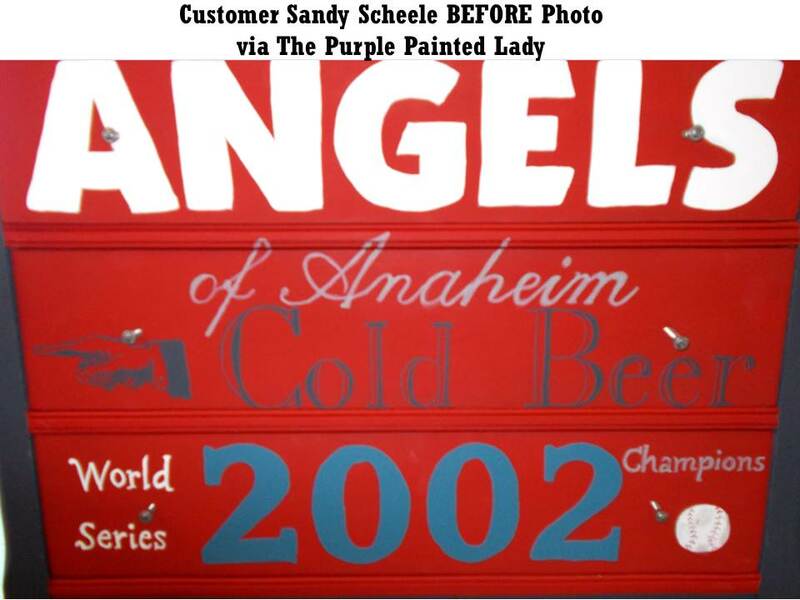 Whenever product is purchased through The Purple Painted Lady®, instructional information is always included! Click here to access our on-line shop. Instructions are very helpful, but I personally learn from seeing, hearing and doing. If you are like me, and need to see wax being applied, please feel free to click on this link to watch a very high level video regarding “How To Apply Clear Wax”. I created a bunch of little videos that I have available at my shop – mostly I did this to save on my voice since I would literally have a customer walking out the door and another walking in – and I would be repeating the same information all day! Again and very important….please also take a few minutes to read the information below! It is important to apply clear wax in thin and uniformed coats with 100% coverage. I hope this analogy helps in your understanding of how thin to apply it. When I say thin- I mean – not sparse where you are missing sections- but rather a reasonable amount. Basically, as if you are applying a facial moisturizer before bed. A light veil of wax that is gently rubbed into the surface. 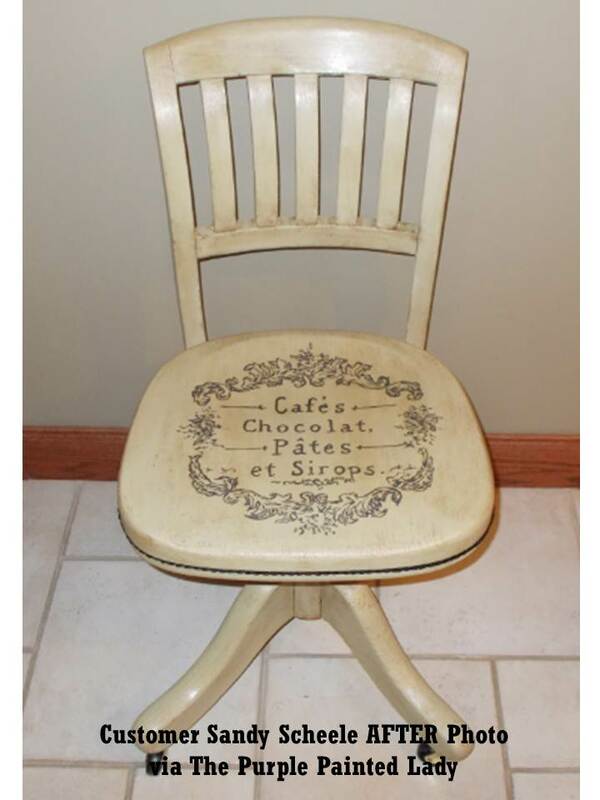 When wax is applied over the Chalk Paint® – it intensifies the paint color. Basically, imagine having a wet finger and wiping it on a school black board or chalkboard. You can see the deepening of the color from the moisture. As you apply the wax- make sure the intensity is uniformed and happens to 100% of your painted area. Not just in some spots. This is easiest when working with colors versus a white Chalk Paint®. You cannot always “correct” this after the wax has dried. 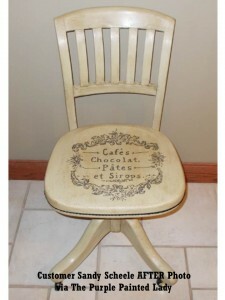 How long does the chalk paint® have to dry before I can apply clear wax? It needs to be completely dry. This could take a total of 30 to 45 minutes. 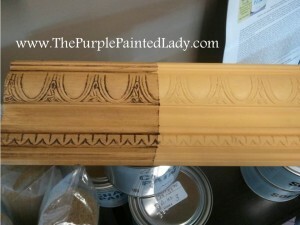 I think it is important to understand- that if you only apply one coat of Chalk Paint® to your project – and then begin to apply the wax right away……if you press too hard when applying the wax or removing the wax…that on the corners and edges- that may effect your project as though you are attempting to do a wet distress effect and remove some of your dried paint. 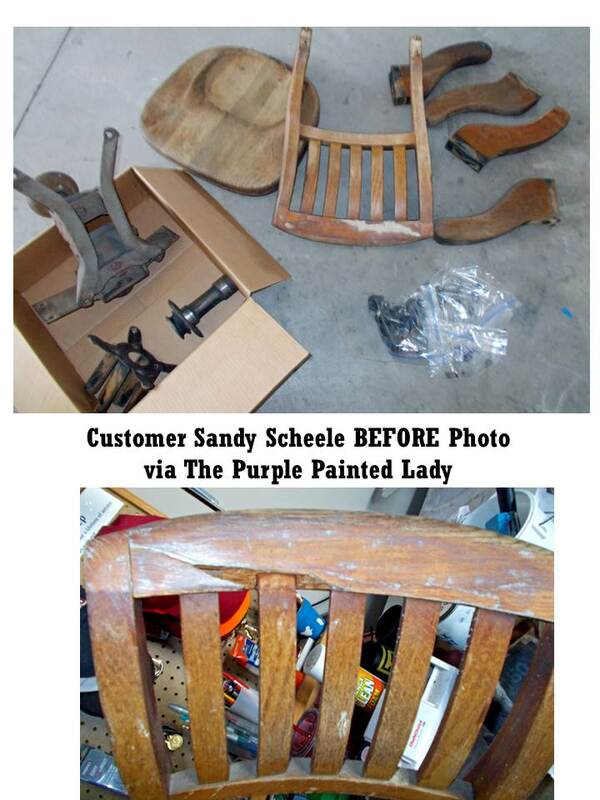 Keep in mind- there is a lot of chemistry and science to paint products. 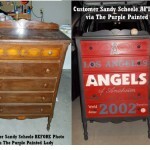 The paint will continue to adhere and grip over a period of time as it cures. You can wax right away- but you should be aware of this and be conscientious on the edges and corners. You should not be breaking into a sweat or hurting your shoulder or wrist when applying or removing wax. Just like when you wash your hair and put conditioner on it- what do you do next? You rinse all the conditioner off. And why is that? Because your hair absorbs only what it needs. If you leave extra conditioner on your hair thinking it is going to make your hair better, what does it actually do? It gives you a lousy hair day! This same concept applies to the wax. After I apply the wax and remove it as I show in my video…I can run my fingers over the surface and my fingers glide over the painted and waxed surface. The surface is not tacky – it may feel moist and cool…but there is no drag. If I want to make the surface feel like glass after waxing as explained above after the surface has cured for a day – I might take some Steel Wool Grade 000 or a very fine piece of sand paper and lightly rub my painted piece in the grain of the brush strokes. Click HERE to read more about the steel wool. I love the Ultimate Wax Brush for applying wax and strongly recommend it to all of my customers as the ONE serious tool you should consider purchasing! It will guide and help you in applying the wax correctly, not to mention efficiently! Now- some of you may be thinking- how do I know if I have too much wax? A. When you apply the wax- if you can run your finger across it and see a mark or a ridge left behind- YOU HAVE TOO MUCH WAX on it! B. 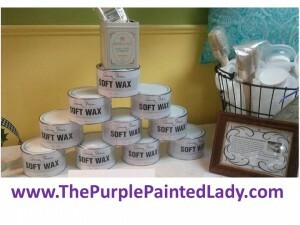 Your project was a small side table or short shelf unit and you used a half tin of wax. Guess what…YOU HAVE TOO MUCH WAX on it! 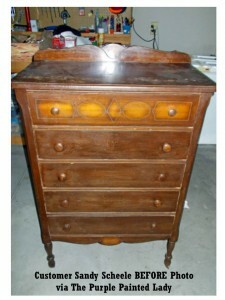 Keep in mind- even if you applied too much wax it is not horrible if you like the look of your piece! So, do not worry about it! And move on to your next project- be more aware or present when you apply the wax. Learn from your first project and save money by not overusing your materials. But again -you know you have too much wax or your wax is not applied uniformly when you see streaking in the wax. All is not lost if this is your situation! And again- we want you to LOVE your piece and want to prevent you from using too much wax because it causes more work for you and wastes your product and your money. 2. Grab your low odor mineral spirits (I have found that the “GREEN” mineral spirits do not work well for this application) and put your cloth on the mouth of the container and get 2 dabs of it on the rag. DO NOT SATURATE the rag with mineral- we do NOT want a wet rag dripping mineral spirits. 3. “Wipe” the excess wax off your piece. Do not scrub- and do not work in a small circular motion- you want to remove the wax evenly. So wipe from side to side. 4. 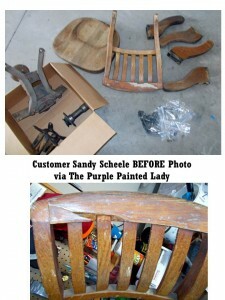 Re-paint with Annie Sloan Chalk Paint™ right over what you have done! 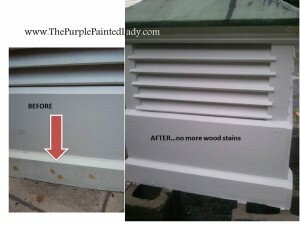 No stripping or priming necessary! The point of this post – is to help you avoid problem! I don’t want you to waste your time or product. 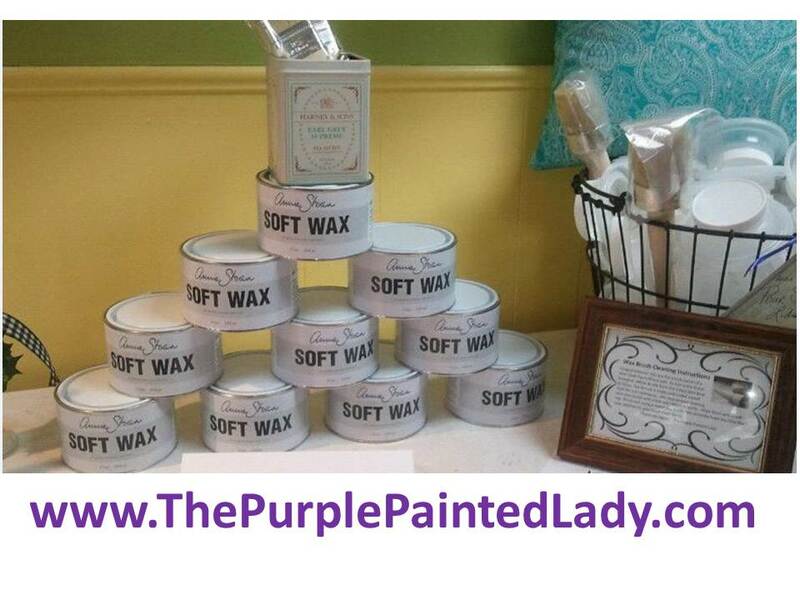 If you are local to me- I would invite you into my shop for a free quick demo on waxing! 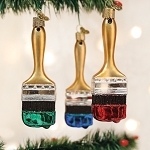 : ) Or visit your local Annie Sloan Stockist to inquire about a workshop or assistance they can provide to you.